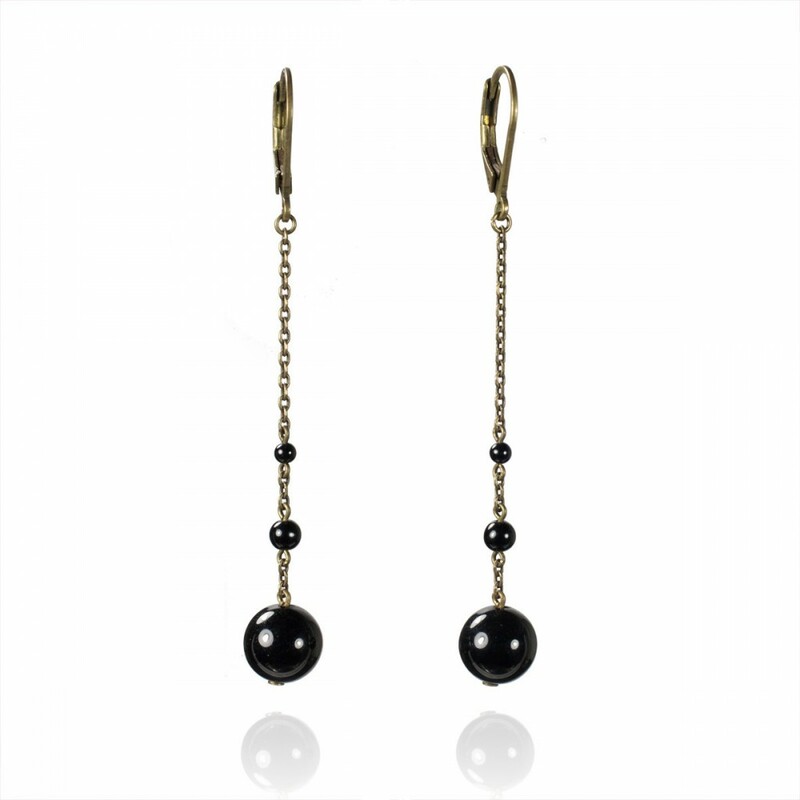 Long earrings with black onyx or hematite beads. 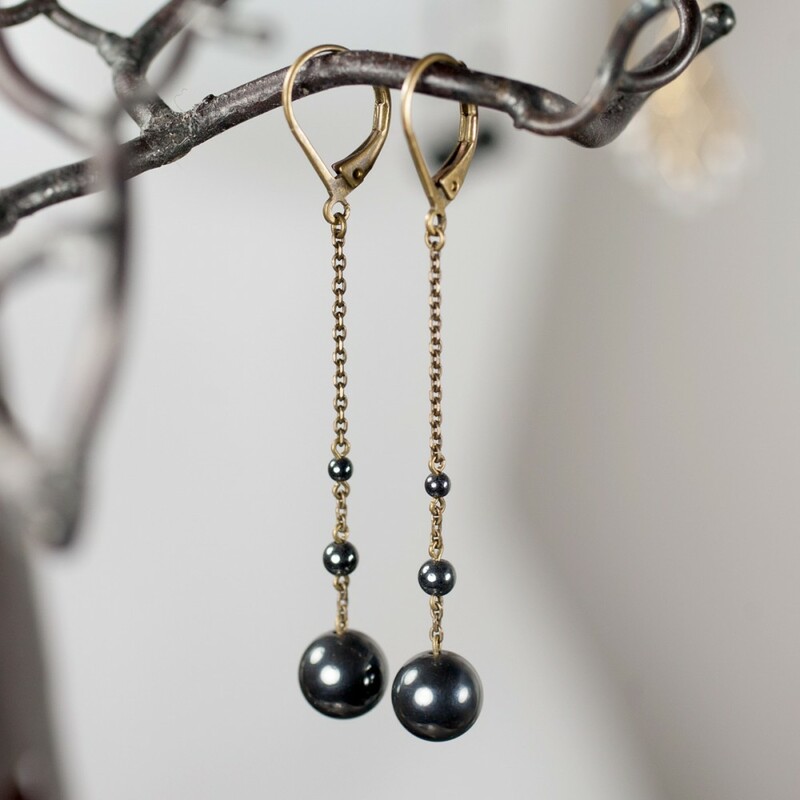 They have neutral tones, so they are easy to wear with any outfit. Leverback closures. 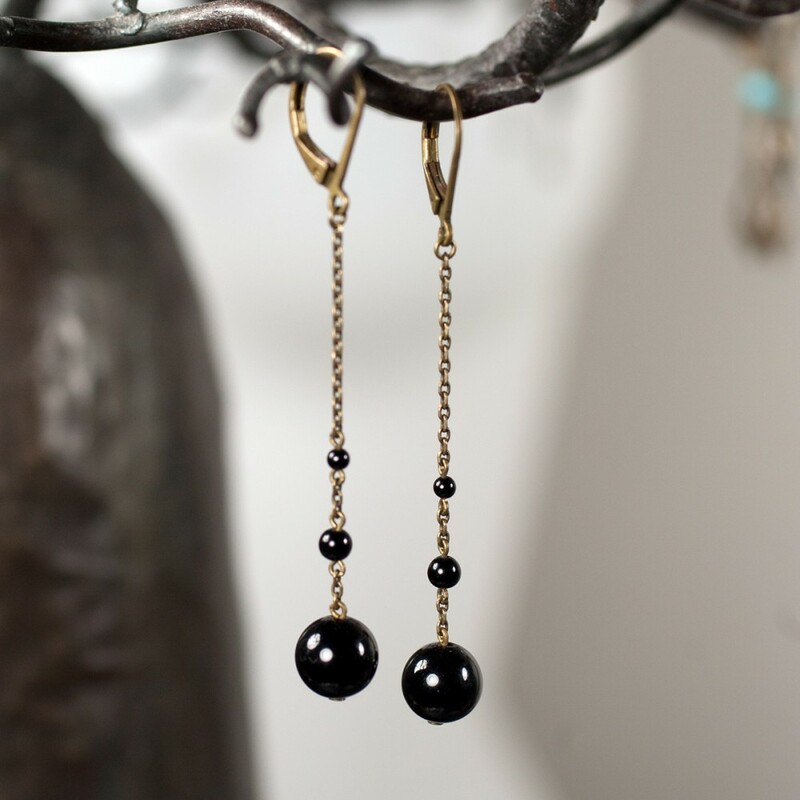 The gemstone beads that end the earrings measure about 8mm in diameter.